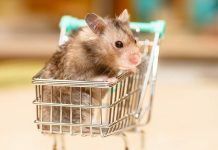 Are Hamsters Rodents Or Do They Fall Into Another Category? 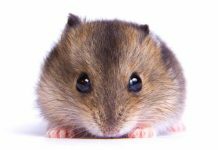 Home Hamsters Are Hamsters Rodents Or Do They Fall Into Another Category? Are hamsters rodents? In order to answer this question, we first need to figure out what makes a rodent a rodent. If hamsters are rodents, they will have certain unique characteristics that all members of the rodent family share. 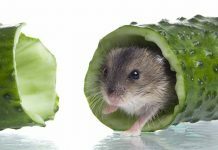 So let’s find out – are hamsters rodents, and how do we know? All rodents belong to the kingdom Animalia, phylum Chordata, class Mammalia and order Rodentia. This means a rodent is a multi-cellular organism with distinct features, the most important of which is a continually growing set of front teeth called incisors. These incisors are the key trait all rodents share in common. There is one set of two incisors in the top jaw and one set of two in the lower jaw. Then there is a long gap called a “diastema” where no teeth grow. After this gap, there are two sets of back teeth, two on the upper jaw and two on the lower jaw. While the incisors have no root and thus grow continuously, and they only have enamel on one side, the rear teeth have roots and are completely covered in enamel. Rodents have no canines – instead, they have the diastema gap. Rodents represent an estimated 40 percent of all the mammals on Earth! Incidentally, the order name Rodentia comes from a Latin word that means “to gnaw.” And this is what all rodents must do in order to keep their incisors filed and sharp. Is a hamster a rodent? 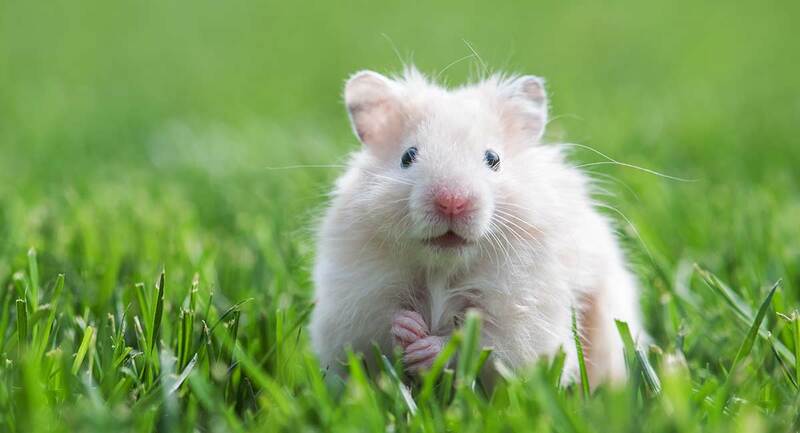 Hamsters belong to the order Rodentia along with many other well-known mammals, including mice, rats, beavers, chinchillas, guinea pigs, squirrels, gophers and capybaras, which happen to be the largest rodents of all. Rodent teeth and jaws – so unique! As you might imagine, figuring out the “Are hamsters rodents?” issue took biologists a lot longer than it just took us! There are more than 2,000 species included in the order Rodentia. In addition to the double set of incisors, there are other important aspects of the teeth and jaws that set rodents like hamsters apart from other mammals. For instance, rodents’ unique jaw and teeth structure means that these mammals are omnivores – they can easily eat seeds, grasses, tree bark, small fish, insects and even scorpions (a favorite delicacy). Rodents use their unique sharp incisors to cut, slice, dig and spear and do their initial gnawing, then letting premolars/molars (back teeth) take care of the rest of the chewing duties. 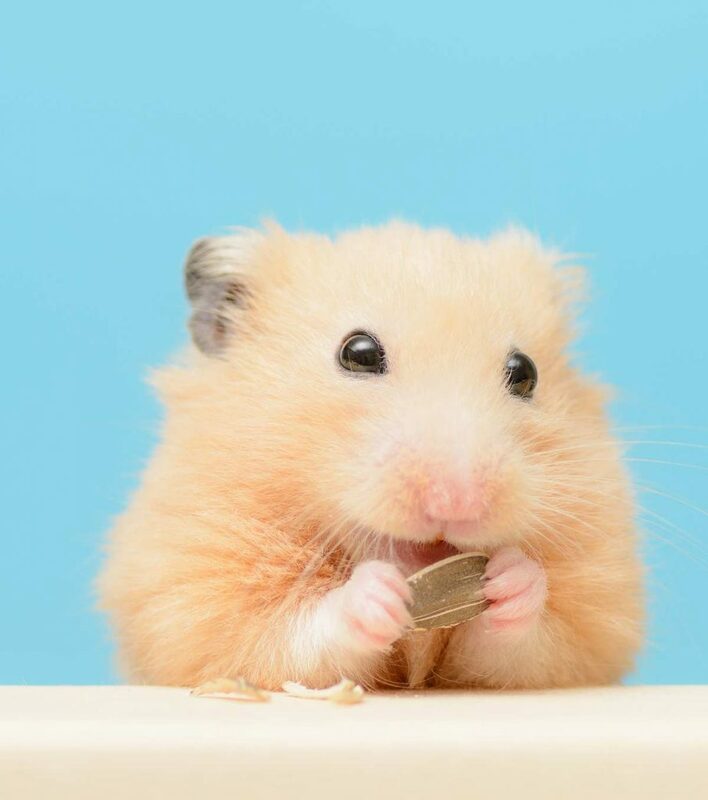 Hamsters, like their fellow rodents, love to eat a varied diet that includes seeds, nuts, grains, grasses, fruits, vegetables, insects, fish, lizards and frogs. The unique shape and angle of the rodent incisors also makes them excellent multi-purpose tools that rodents like hamsters can use for digging, gnawing and even constructing underground tunnels and burrows. While there is a great diversity between many of the 2,000 species in the order Rodentia, the missing canines and that long jaw gap gives them the ability to use their cheeks as temporary storage containers. The capacity of those flexible cheeks can be quite amazing to behold! Here, it also helps that rodents have evolved so that their lower jaws can move both forwards and backwards. This allows them to literally “pack” their cheek pouches in different ways depending on the shape and size of what they are trying to store inside them. Speaking of which, if you have never actually seen a hamster hard at work packing those handy cheek pouches, this is a short video you will definitely want to watch! 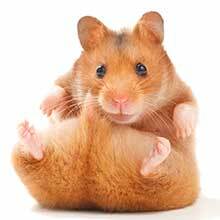 As you will see, a hamster’s cheek pouches have capacity that extends all the way back to their hips! Rodents also have bodies that are similar in certain important ways. Their legs tend to be short and their bodies compact. Some rodents have long tails that are hairless or have hair, while other rodents don’t have a tail at all. Many rodents will have five toes, each with claws, but some rodents will have only two or three toes. Hamsters have four front toes and five back toes, each with its own sharp claw. This gives these agile little rodents extra balance and support. Rodents are very adaptive and resilient and this means they can thrive in many different climates, from arid and dry deserts to hot tropical areas. There are only two places on the planet where you won’t find any rodents at all: the ocean and the continent of Antarctica. Like most rodents, hamsters are nocturnal, which means they become most active during the evening hours. During the day, they will spend many hours resting and sleeping, often while burrowed into a sleeping hide or tucked under their bedding. This mimics their natural inclination to stay hidden from predators. Another hallmark of rodents is how quickly and abundantly mammals in this order can reproduce. Adult female hamsters, for instance, will be ready to breed at 10 to 15 weeks. Every four days, the female goes into estrus. During these times she can get pregnant. Once a female hamster conceives, she will gestate from 16 to 22 days. The average litter size is six to eight pups. Like other rodents, a female hamster can immediately become pregnant again after delivering. In answering the question “Are hamsters rodents?” we have the chance to marvel at the many wonderful traits that make a hamster a rodent! Have you ever kept a hamster as a pet? What was that experience like? We’d love to hear your story! Bradford, A., “Hamster Facts: Diet, Habits & Types of Hamsters,” Live Science, 2014. Myers, P., “ADW: Rodentia: Information,” Animal Diversity University of Michigan Museum of Zoology, 2000. Kay, E., et al, “Rodents,” Current Biology/Cell Journal – Harvard University, 2007. “Biology and Husbandry of Hamsters,” University of Kentucky, 2018. Next articleHow Many Babies Do Mice Have In A Litter And In Their Lifespan?